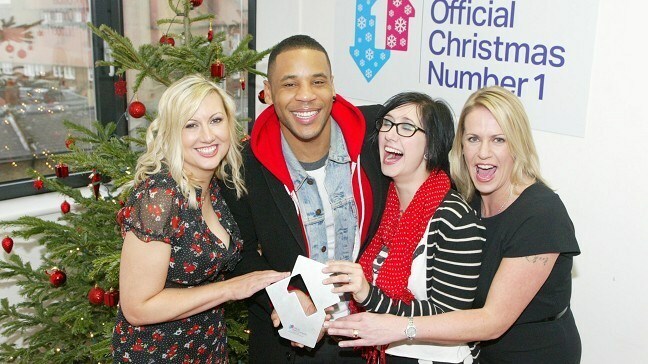 The Military Wives Choir has marched to the top of the charts, taking the coveted Christmas number one spot. Their single, Wherever You Are, sold 556,000 copies in the last week, more than the rest of the top 12 combined, the Official Charts Company said. Gareth Malone formed the group for BBC2 programme The Choir, which climaxed with the group performing at the Festival of Remembrance at the Royal Albert Hall. Proceeds from the single are being donated to the Royal British Legion and the Soldiers, Sailors, Airmen and Families Association (SSAFA). The choir's success was announced during the festive edition of BBC1's Top Of The Pops. Gareth said: "This is so surreal. Who would have guessed in those first rehearsals that we could take Christmas Number 1? It's testament to the Military Wives' hard work and the nation's support of them, as well as the power of choral singing. "It's a winning combination - a Christmas Number 1 winning combination! Thank you to the British public for supporting the Royal British Legion and SSAFA Forces Help by buying this single. "Chris Evans and Radio 2 have helped us to showcase the talent and strength of these amazing women. The support of the British military for the choir has been fantastic. I'm delighted that they have found their voice. We did it!" Steven Tyler has reportedly become engaged to his girlfriend Erin Brady. Lady Gaga has stepped out in public with boyfriend Taylor Kinney for the first time. Taylor Swift, the Decemberists and Arcade Fire have recorded songs for the Hunger Games, it has been revealed. Kanye West is reportedly planning to move to the UK in the New Year. Strictly Come Dancing champ Harry Judd has a new crowning glory - after being honoured for his stylish hairdo. Musician Sinead O'Connor has parted from her fourth husband, after just 16 days. Michael Jackson's groundbreaking Thriller has been named the greatest video of all time by musicians, almost three decades after it was created. George Michael has returned home to the UK after leaving hospital in Vienna. Tinchy Stryder has dropped out of the next series of Celebrity Big Brother.